nanoPHAB® can provide its customers also with the ultra clean and high resolution epitaxial growth of III-V multilayer stacks of bulk materials and heterostructures like quantum well, quantum wire and quantum dot for active devices as laser, semiconductor optical aplifier (SOA), detectors and more. 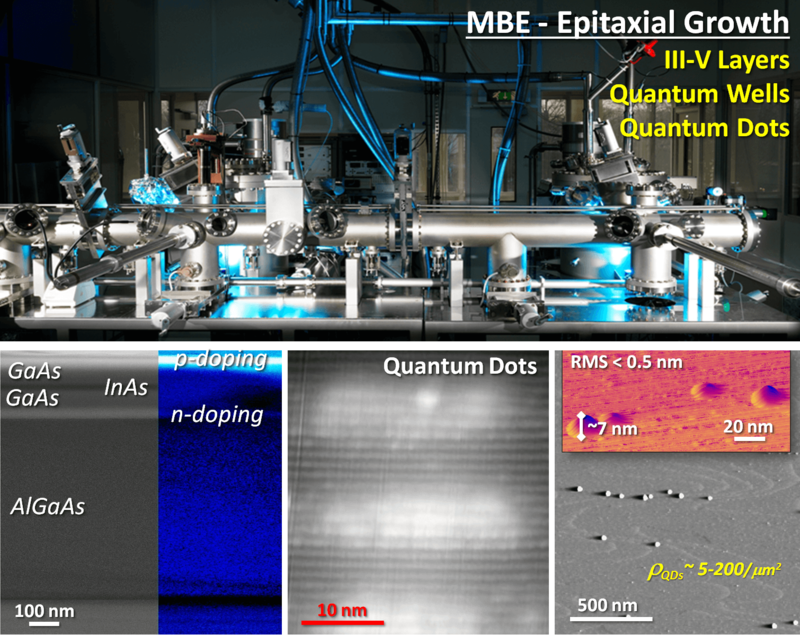 Two Molecular Beam Epitaxy reactors (MBE) are dedicated to the growth of many compounds as GaAs, AlAs, InAs and AlGaAs, in wafer size ranging from 2 to 3 inches. 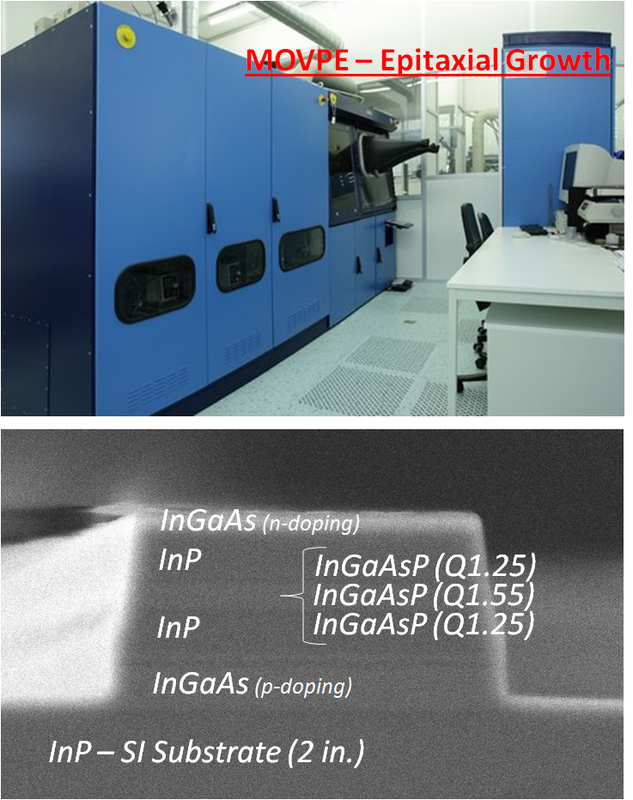 A Metalorganic Vapour Phase Epitaxy reactor (MOVPE) is used for the growth of InAs, InP, InGaAs, InGaAsP with many stochiometric ratios, strained or unstrained, in wafer size of 2 and 3 inches.